Creative IT offers fast, secure and confidential hard drive data recovery expert services in London and all over the UK. The data inside your computer and laptop hard drives can face the danger of being lost due to various reasons such as sudden surges in the power voltage, lightning, fires, natural disasters, sabotage, viruses, equipment breakdown, accidents, and errors caused by the user are the chief causes for hard disk failure that may cause the data inside the drive to be damaged or lost. Nevertheless, the data experts at Creative IT use state-of-the-art equipment and award winning hard disk data recovery software to thoroughly recover data for clients from their crashed, failed or damaged hard drive disks and other storage media. We provide data recovery services for all types of hard drives including IDE, SCSI, ATA, SAS and SATA internal drives. 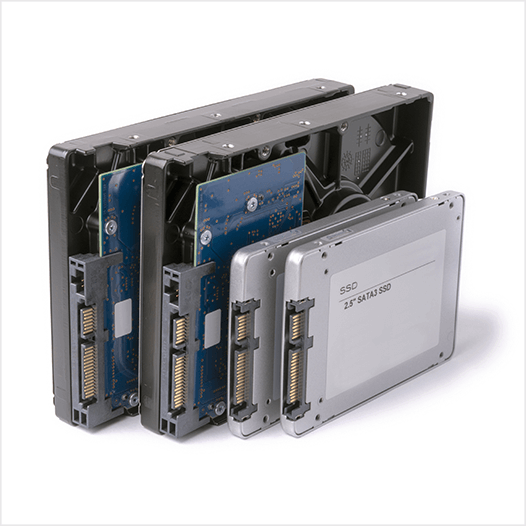 Our comprehensive expertise with these storage devices allows us to perform successful and quality data recoveries. Our team of data specialists can offer custom solutions for even the most complicated data loss scenarios. We have years of experience in information technology and computers. 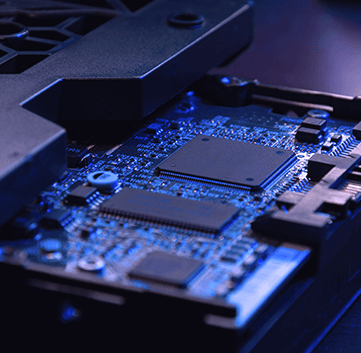 This long experience in IT over the years has enabled our data recovery technicians to gain expertise in data salvaging and to recover data from all possible hard drive failures. Whether it is a single hard disk drive or a multi-disk server RAID array, we’ve made it achievable where other data recovery companies have been unproductive. Our success rate at hard drive data recovery services are almost hundred percent. Our experienced team have proven their ability to recover lost data from various operating systems such as MS-DOS, Windows 95/98/ME, Windows NT (Workstation and Server), Windows 2000 (Professional and Server), Windows XP (Pro and Home), Windows 7, Windows 8, Novell NetWare, Unix (Solaris, AIX, BSD, HP) Linux (RedHat, Mandrake, Corel, Debian) and Mac (OS9, OS X). Furthermore, they are well equipped to retrieve hard drive data from FAT12, FAT16, FAT32, NFS, NTFS, HPFS, UFS, Ext2, Ext3 and other file systems. Our hard drive experts will examine your failed, corrupt or damaged media in a fully secure class 100 clean room environment to establish the exact problems related with your data loss circumstances before providing a data recovery quote. We will transfer the data recovered to the medium of your choice – external hard drive, CD, DVD, tape, or via FTP transfer. They will also assist the clients to track the progress and current status of the recovery service. Creative IT offers professional data recovery programmes for individuals, multinational corporations, educational institutions and government agencies right through the UK. We also offer express hard drive data recovery services through our well-equipped lab situated in Central London.